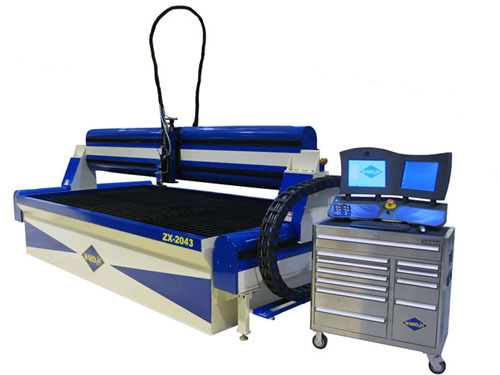 Our custom water-jet services are available to any manufacturer or customer that needs to protect delicate equipment, and or requires professional advertising for their devices. This is the perfect, environmentally friendly, technological solution for nearly all cutting needs; and it is less expensive then laser and die cutting. No minimum order required. 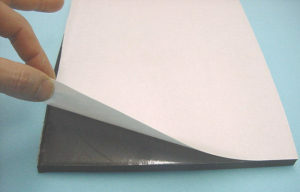 Neoprene With Adhesive Glue is available in any thickness! To secure the sealing of joints and seams, this glue adhesive backing is strong and is suitable for Formica and can stick on rubber, glass, leather, wood, sponge, plastic, paper, cement and fabric, and other surfaces. For Ceiling you may need to heat up foam and surface for a stronger bond. Just cut to size and peel off the backing – it’s that easy! Neoprene With Foil Backing is available in any thickness! Please store at at 64-72 degree Fahrenheit and keep out of direct sunlight. Description: Neoprene is a closed cell foam. It is flexible and durable, but still able to cushion your items. It is also static free. Specific Uses: thermal and moisture insulation, expansion joint filler in masonry and concrete, filler support sealant in traffic bearing joints, other applications that require a firm foam, economical, and durable gasket. This foam can also be used on motorcycle seats, boat seats, and even exercise equipment. Combined shipping cost is available on more then one item. For best results it’s best to go with 1/2″ thickness, stack and glue the foam together to get the height you are looking for, for easy cutting and shaping. 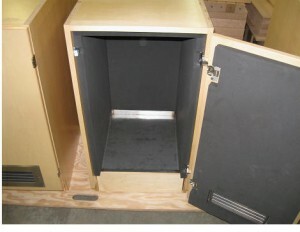 Neoprene foam can also be used for sound muffling and packaging purposes. Specific Uses: Thermal and moisture insulation, expansion joint filler in masonry and concrete, filler support sealant in traffic bearing joints, other applications that require a firm foam, economical and durable gasket. 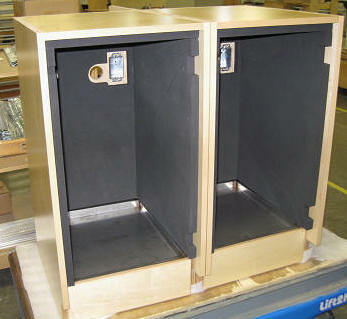 Please contact us for details on prices and lead time.